Cross Section Stops – 1/8″ rivets are used to align the cross sections and to keep them from moving fore or aft during use. Rivets are placed on the gunwales, deckridge, and keel of each cross section. Rivets are not placed at the chines. 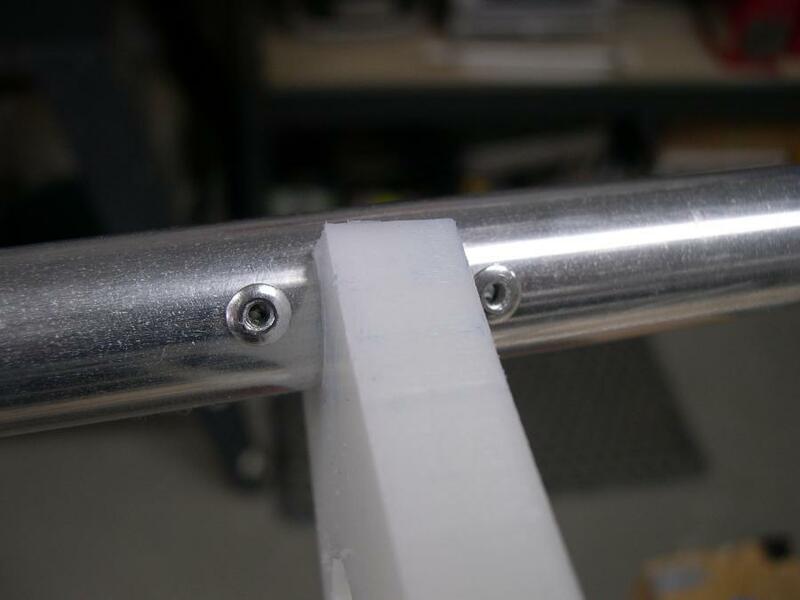 If cross section 3 is used as the footbrace, 1/4″ nylon or aluminum sleeves are used in conjunction with the rivets to add additional support for the footbrace.